Network-Level Bridge Deck Evaluations in Wisconsin - Infrasense Inc.
Infrasense, through multiple work orders, has conducted infrared thermography (IR, per ASTM D4788-03) and ground penetrating radar (GPR, per ASTM D6087-08) surveys on over 800 decks representing 7.7 million sq. ft. in Wisconsin’s SW, NC, NW, NE, and SE regions. In 2017, Infrasense conducted surveys on over just over 130 decks. 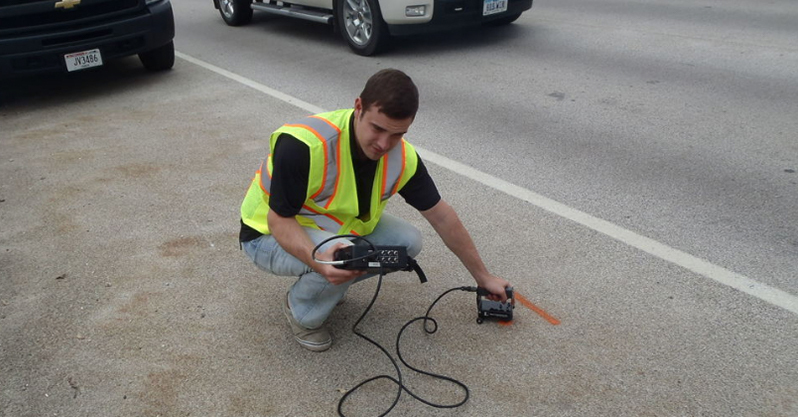 All GPR data collection has been carried out at driving speed without lane closures, while the IR data has been collected using a rolling closure system. The GPR and IR data collection efforts are supported by OMNNI Associates of Appleton, Wisconsin. 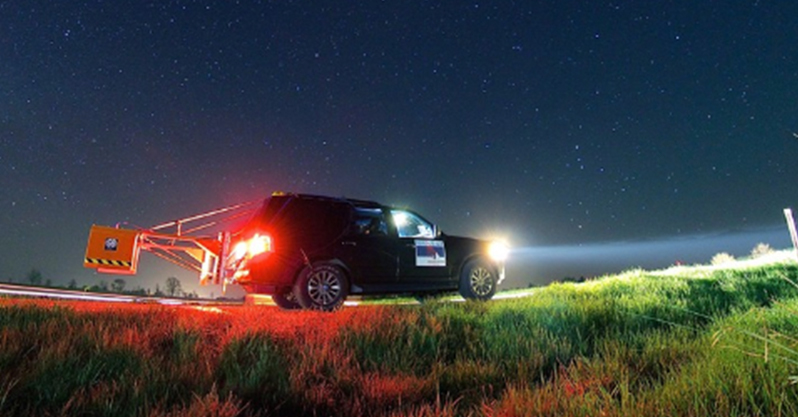 Infrasense high-speed GPR setup in Wisconsin. 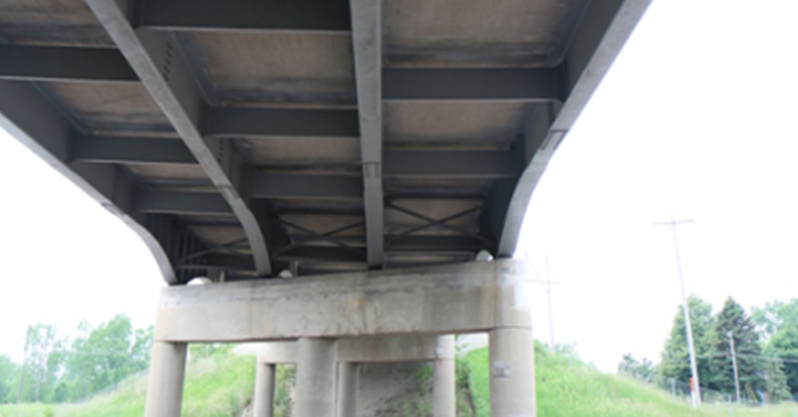 A bridge deck underside inspected in Wisconsin. 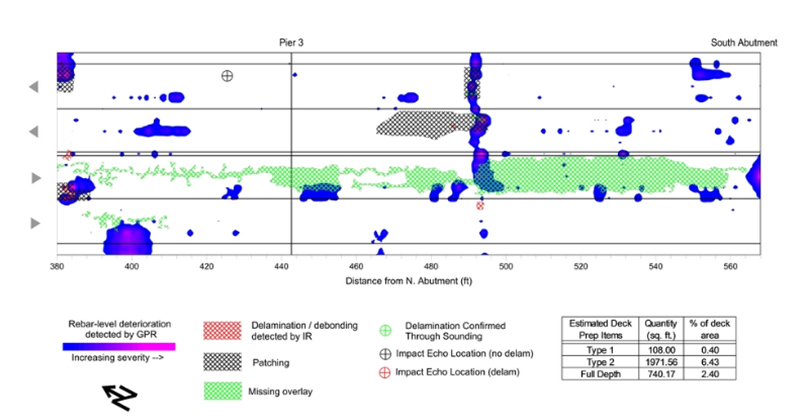 Spot testing using Impact Echo ultrasonic device in Wisconsin. Sample condition map for a bridge deck in Wyoming.